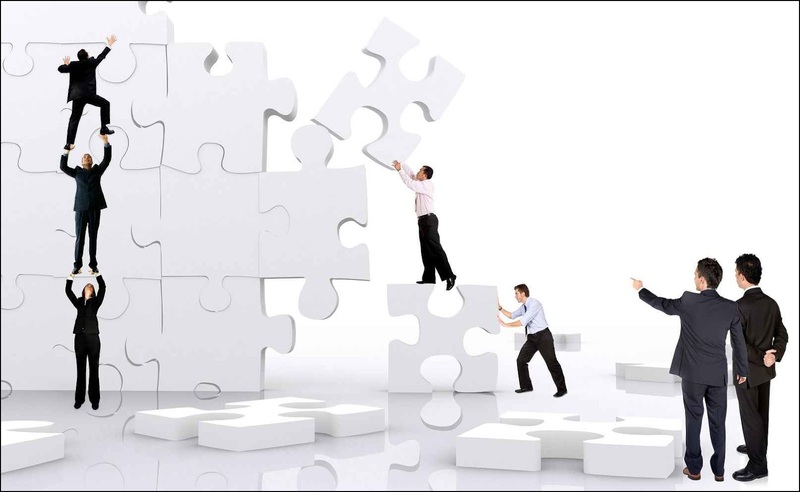 Indian promoters are seen to be gaining more stronghold in insurance ventures in the country. On the one hand, while Indian management control has ensured that all decisions, appointments can be made only with majority nod of Indian shareholders, possible exit of foreign partners in companies like Bajaj Allianz, as news reports suggest, will further add up to Indian partner control. Bajaj Allianz Life and General Insurance has Allianz as a foreign joint venture partner with 26 per cent stake. While other foreign partners in insurance companies have hiked their stake to 49 per cent which is the maximum permissible, Allianz had been engaged in discussions over this. Sources said that since the new Insurance Act called for fair valuation to determine price of any stake hike rather than any pre-determined price as in the case of this insurer, the foreign partner expressed some reservations of the pricing. While a final decision is yet to be taken, sources associated with the development said that the foreign partner may not continue. To a query by Business Standard, Allianz said that India is a vibrant market where Allianz holds a keen interest and remains committed. A final call on this is expected to be taken in mid-July. Exide Life Insurance today announced Mahendra Singh Dhoni as its brand ambassador. Dhoni, who represents the aspirations of millions, has a strong mass appeal and followership compared to any other sporting icon in India. Dhoni is the perfect brand ambassador for Exide life Insurance as he embodies the values of Exide life Insurance. He is Dependable, Dynamic, Responsive and Foresighted. 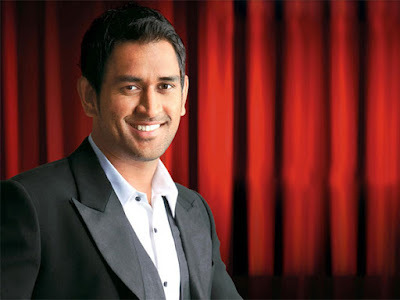 Dhoni represents a “unique blend of skill, commitment and stability which are all personality traits that are relevant to the life insurance category” said Mohit Goel, Director-Marketing, Exide Life Insurance. Starting June 22, Dhoni will feature in the Exide Life Insurance marketing campaign “Lamba saath, bharose Ki baat.” (Long term relationships build trust). Health Insurance Or Health Corpus: Which One Should You Choose? A health insurance policy is a type of insurance coverage that covers the cost of an insured’s medical expenses. Depending on the type of health insurance policy, the insurer makes direct payment to the service provider or the insured pays the expenses out of their pockets to claim a reimbursement on a later instance. Nobody ever plans to get sick or hurt. However, when illness strikes, you will need to be financially ready in order to handle the situation. 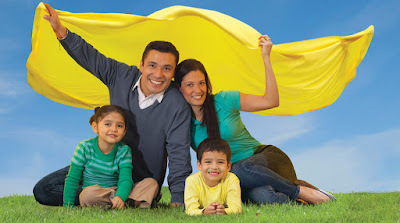 Here are a few advantages of having a health insurance policy. To begin with, when you are in a hospital, a vast sum of money is spent on food and your family’s commute to the hospital. To take care of this, most health insurance policies offer a daily hospital allowance. 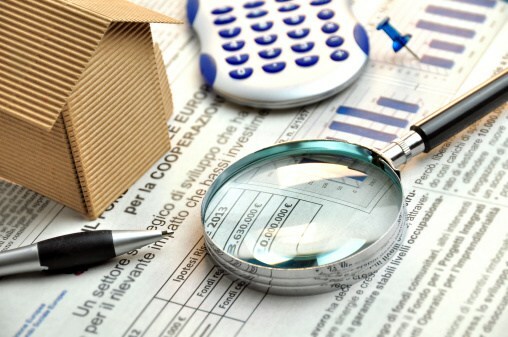 You will need to check if it is a per-day cash handout or pre-fixed. Also, you don’t need to hand over any bills to claim these expenses. While some insurers provide only hospitalisation expenses, there are others that offer recovery expenses as well. Known as a recuperating benefit, this particular feature offers you a lump sum amount if you stay at the hospital for a prolonged period of time. The IRDAI has recently added a guideline wherein insurance providers need to provide insurance for clients who opt for alternative treatments like Ayurveda, Unani, and homeopathy. The premium paid for health insurance policies are eligible to get tax benefits under Section 80D of the Income Tax Act. Apart from the fact that you will need to set aside a certain amount for premiums each month, there are no specific disadvantages that come with buying a health insurance policy. There is the case of waiting period, though, which can be avoided if you buy a disease-specific policy. What Is A Health Corpus? A health corpus is basically a fund you set aside or break when you are met with an emergency that need medical attention. This could range from you borrowing a loan from a bank to breaking your fixed deposits. The one real advantage of a health corpus is that you wouldn’t need to go through a waiting period to get treated for some pre-existing illnesses. When you weigh the scales by outlining the advantages and disadvantages of a health corpus, the negative aspects tend to outweigh the positives. While breaking your hard-earned savings to pay your medical and surgical bills make sense in the beginning. It starts to seem like a bad financial decision when you look back at it. Imagine you come across a much larger health emergency a few months after the first, and you barely have any savings to dip into. Unless you are a multi-millionaire with unlimited funds, you can’t ‘buy’ the benefits offered by a health insurance policy without actually getting one. Every treatment or procedure you get will cost you money and will sooner or later burn a hole in your pocket. When you weigh the odds, owning a medical insurance policy makes much more sense as opposed to using a health corpus to take care of your medical bills and treatment costs. Besides, all you need to do is pay a small sum as premium each month to receive top-class services from reputed hospitals. Also, if you have any disagreements with your insurance provider, you can use the portability option to find a better one. HDFC Life and Max Life are in talks to create the country's biggest private life insurer as stiff competition and regulatory hurdles force firms to find new ways of growing market share and profitability. Three people familiar with the talks said parleys have so far been mostly between Deepak Parekh, chairman of Housing Development Finance Corp, HDFC Life's parent, and Analjit Singh, founder of Max Group which owns majority stake in Max Life. The companies may announce the plans in the next few days. If talks fructify, the merger will be the first among life insurers in more than a decade, creating a firm with market value of about Rs 50,000 crore, ahead of ICICI Prudential. It will, however, remain a distant second to state-run LIC which dominates the Rs 25 lakh crore industry with 70% share. 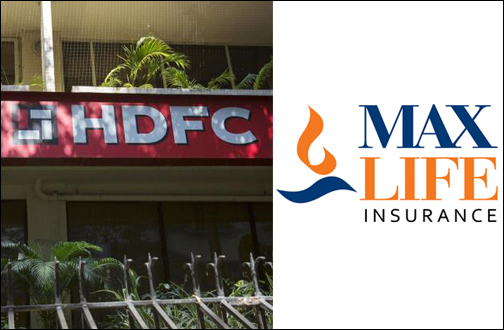 The board of HDFC Life is meeting in Mumbai on Friday to discuss the proposal. HDFC and Max India did not respond to email queries on the matter. Standard Life, the joint venture partner in HDFC Life, in an email response said it does not comment on market speculation. Max Life's minority stakeholder, Mitsui Sumitomo, said it would prefer to refrain from commenting on the query. Since the two companies have different holding structures, it is not clear what the final holding pattern would be. Max Financial owns 68.01% of Max Life and has a market value of Rs 11,700 crore. Axis Bank owns 5.99% and Mitsui Sumitomo owns the remaining 26%. In HDFC Life, HDFC owns 61.63% and UK's Standard Life 35%. About 1% is owned by Azim Premji. The talks have reached a stage where companies have appointed legal and due diligence advisors. Consultancy firm EY did the due diligence for Max Life and Shardul Shroff was the legal advisor to HDFC Life. But there is no certainty that it will take place as a number of hurdles remain to be crossed. One of the valuation metrics for insurers is embedded value. HDFC Life had an embedded value of Rs 10,205 crore at the end of March 31, 2016. It had an asset under management of Rs 74, 247 crore. Aiming to provide cover to people in case of defective property titles and related issues, insurance regulator IRDAI on Friday proposed introducing a new product in India, 'Title Insurance'. The regulator said it has decided to constitute a 7-member working group to study the scope of 'Title Insurance' in the Indian market. IRDAI's senior joint director Suresh Mathur has been appointed chairman of the group and asked to submit report in two months. The group will study the need and scope for such a product in the domestic market vis-a-vis the existing practices in the international market and identify the insurable risk and define the compensation structure. It has also been asked to suggest the design of the product and the framework for assessment of risk, pricing, reserving and accounting with actuarial inputs for the long term sustainability of the product. Today, if you want to buy a term plan online, you can do so till the age of 60 years or more-something very difficult to do only a few years back. The coverage will be given till the age of 75 years to 80 years. No wonder, a number of elderly citizens are buying term plans though they are a tad expensive. "With economic growth, incomes have gone up multiple times but expenses have also increased due to discretionary spending. In addition, there is no social security in India. So, many people take up second jobs after retirement, says Sudipto Roy, managing director, Principal Retirement Advisors. And, that income needs protection. Hence, term plans. Another reason why people are buying these products is due to liabilities and dependants. Even if there aren't regular nine to five jobs, many seek part-time jobs such as consultants after-retirement, says Neeti Sharma, vice-president at Teamlease. Not long before term insurance cover was only provided till the age of 55. After insurance companies came up with an online term plan for the higher age band, it all changed. Today, there are many more insurers providing coverage to persons up to the age of 75. The online platform's easy reach, convenience and affordability have made the consumer a winner, with the widest of choices. Recently, a 60-year-old doctor from Hyderabad bought a term plan worth Rs 1 crore for 15-year coverage at a single premium of Rs 8 lakh. The 50-plus age category comprised merely one per cent of life term plans on the platform in FY 15. This number went up to nearly five per cent in FY16, according to data from Policybazaar.com. Earlier, the demand from older customers for term life insurance was restricted largely to metro cities, such as Mumbai, Delhi and Bengaluru. Now there is good demand from other cities, too. In finance companies, armed also with better actuarial data, are willing to give protection to senior citizens. Aegon currently offers coverage till the age of 75 and plans to increase it to 80 years. In April, Aegon's Annual Retirement Readiness Survey spoke about the steps being taken around the world to promote the concept of flexible retirement. The survey was conducted in 15 countries, including India. "Life expectancy is increasing around the world. From 1970 to 2012, life expectancy at birth increased 11.1 years for men and 12.1 years for women. As people live longer, their ability to work in older age increases. "People should no longer be limited by the notion of retiring fully at age 60 or 65," the survey said. According to the survey, life expectancy in India is expected to rise to age 73 in 2050, up from 66 today, which will challenge the sustainability of the country's retirement system.